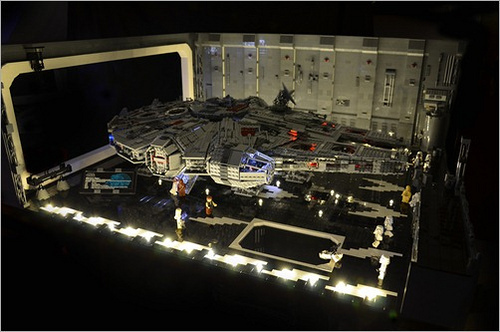 German LEGO Star Wars fan David Wagner wasn’t content just to build 10179 UCS Millennium Falcon and let it gather dust in his basement. 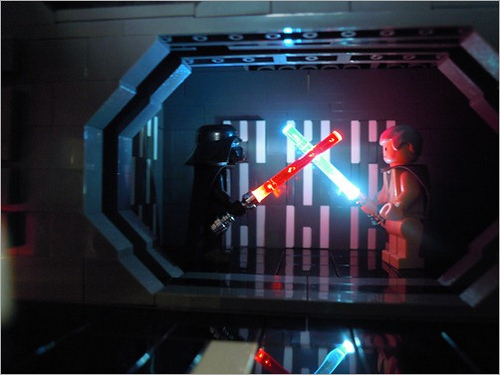 He built an entire Death Star diorama full of classic details. Oh, and it lights up! 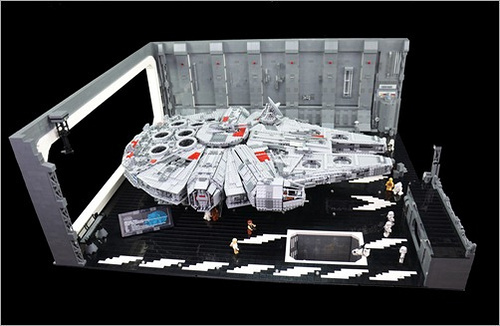 David incorporated LEDs throughout the diorama, including the Falcon’s cockpit and ramp, landing lights, and more. Check out hudecity.de for tons more pictures. Boy I’m really digging the “wet floor” sign and the Stormtrooper slipping…very clever in a Star Wars MOC.